The staff was friendly and the shuttle to and from the Labuan Bajo city center was great. The view of the sunset was definitely the highlight of our stay. Staff were super friendly and helpful. Rooms were clean and we'll equipped. Could use a little refresh. Towels tattered, lights dim. The property is actually much nicer than the pictures would make you think. The pool area is amazing as it has a beach directly in front of the pool and the ocean right beyond that. The hotel is about 10 minutes outside of the center of Labuan Bajo, however we actually liked this because it was more peaceful and the hotel has a free shuttle that will take you into town between the hours of 7am-8pm which was a nice surprise. Breakfast was included and was good. 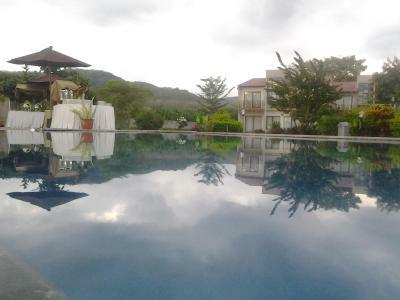 The pool area was nice. The free shuttle to town was convenient. The shuttle driver was very kind and helpful. Great beach in front of the hotel. Free shuttle to/from the airport and to/from town. The bed was really comfortable. The breakfast had a good choice of foods and everything was fresh and covered. The attention to detail on dressing and decorating the breakfast buffet was awesome! Mixed omelette was great. I also ate at the hotel a few times, nothing great, but it did the job. Staff were helpful and friendly. The rooms were very clean and had everything needed including a kettle and fridge. Hairdryers available from housekeeping. Good points, staff is very friendly and helpful, the beds are comfortable, the room are clean, quite large and there is a free shuttle pickup/drop off to town and airport. Really good hotel, totally clean, gorgeous gardens, swimming pool right in from the beach. They have a car to drive the customers to the city for free, and you can order a pick up as well, is just call them. Good spaces on the rooms. Staff really friendly, delicious food! 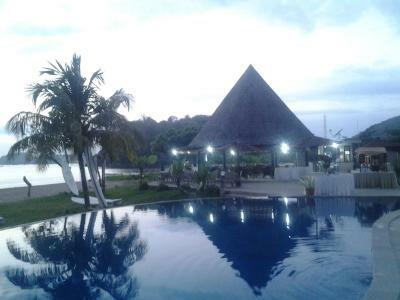 Luwansa Beach Hotel This rating is a reflection of how the property compares to the industry standard when it comes to price, facilities and services available. It's based on a self-evaluation by the property. Use this rating to help choose your stay! Located on a private area of Pede Beach, Luwansa Beach Hotel houses an outdoor pool with sun loungers and accommodations with sea views. It also provides a complimentary airport transfer service. 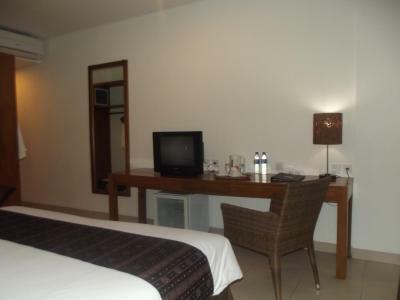 The hotel is a 10-minute drive from Komodo Airport and Labuan Bajo. From Labuan Bajo, a 2-hour boat ride takes guests to Rinca Island and a 4-hour boat ride, to Komodo Island. 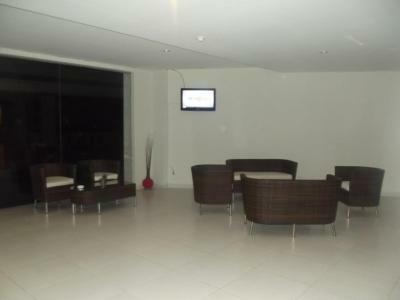 Contemporary air-conditioned accommodations feature satellite TV, coffee/tea making amenities and a wardrobe. Private bathrooms come with shower facilities and a hairdryer. 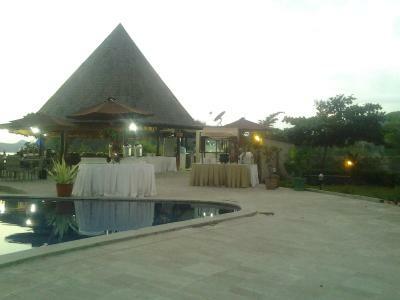 Sebayur Restaurant serves European food, while Komodo Bar offers snacks and refreshing beverages. In-room dining is possible. Wi-Fi is accessible for free in Luwansa’s public areas. Staff at the 24-hour front desk can assist with luggage storage and laundry services or requests for use of ironing or barbecue facilities. 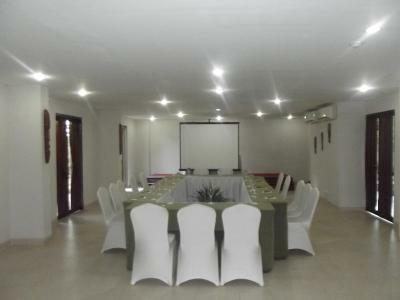 Meeting rooms and a tour desk are available. 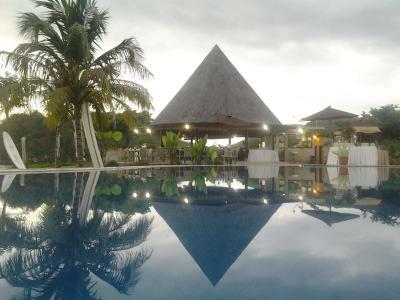 When would you like to stay at Luwansa Beach Hotel? 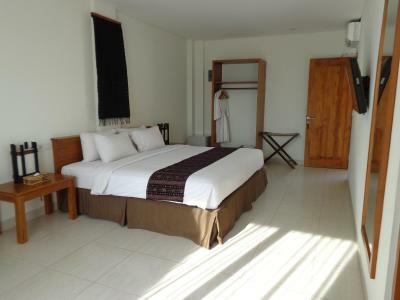 Contemporary air-conditioned rooms feature satellite TV, coffee/tea making amenities and a wardrobe. 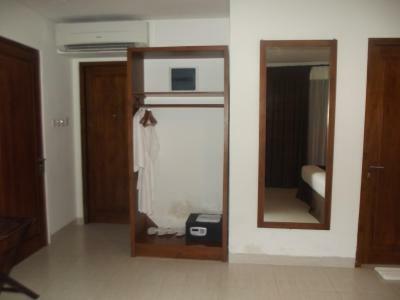 Private bathrooms come with shower facilities and a hairdryer. Bungalows are larger, and offer a flat-screen TV and a mini-bar. 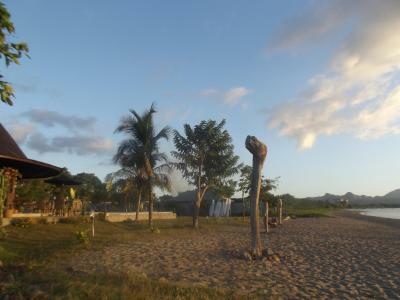 House Rules Luwansa Beach Hotel takes special requests – add in the next step! 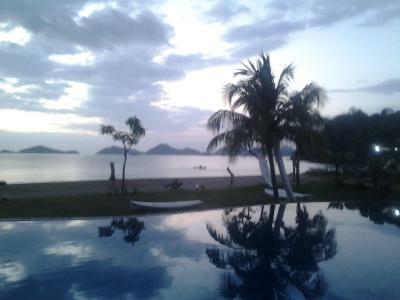 Luwansa Beach Hotel accepts these cards and reserves the right to temporarily hold an amount prior to arrival. There is a free transfer from Komodo Airport. Please inform Luwansa Beach Hotel in advance, providing flight details and estimated time of arrival, if you want to use the service. What a shame that the pool was not kept clean and filled properly. Towels, bed sheets, outdoor umbrellas etc were extremely shabby and need replacing. This would give your hotel a much better rating all round. The rooms did not have balconies which was disappointing, but liveable with as I didn't spend much time in the room. Bad points, the pool bar is closed for cause of renovation and the food is overpriced for an average quality, filthy pool, umbrellas are limited in number and broken. What a shame that the beach had such a huge quantity of rubbish on it. Clearly not the hotel's fault, sadly, it is just typical here. 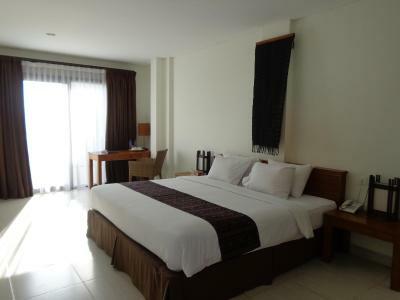 Very nice, large room with very clean bedding. 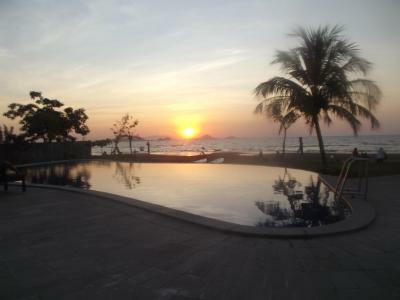 Super pool and wonderful to be overlooking the sea. Pretty gardens and lovely breakfast in the attractive restaurant which is situated next to the pool, overlooking the beach. The free shuttle service was very useful. The shower was cold for most of our trip. The WiFi didn’t work and the power to the hotel kept cutting in and out during our stay so the AC unit and fridge only worked some of the time. The breakfast buffet was terrible and the pool was really dirty with live bugs swimming around in it. When we arrived the hotel did not have our reservation written down and scrambled a bit to get us the room we had reserved, and the shuttle we were promised from the airport to the hotel wasn’t there to pick us up. Luckily we were able to jump in someone else’s shuttle. 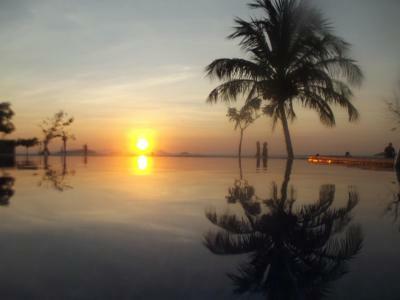 The infinity pool is not set up correctly. Massive disappointment. The rubbish on the beach is disgusting. The cost of meals and drinks is crazy. You forced me to go elsewhere. The shuttle service is great. The Internet was pretty poor. WiFi was weak in our room, on the second day it stopped working entirely and we were told it only worked in the lobby, no explanation why. The air conditioner had a habit of leaking when used too long. The location, although in a lovely area, was remote, we relied heavily on the hotel shuttle service to town (7am-8pm, but check times again). The staff were generally nice, there were issues with language, and the place might benefit from some more general training and guidance to the team to smooth out small issues. The views were lovely from our room. Generally the place is very peaceful, geckos are the only noises you'd hear at night. The free airport shuttle and service to and from the centre was nice, the drivers friendly and efficient. The pool area was pleasant, it was nice they had a private beach area leading from the pool, although the rubbish on the beach was upsetting (not the fault of the hotel, just washed up from the town). The rooms were nice, beds were huge and comfortable, bathrooms were nice too, good shower pressure. Was good time spending there. The TV is old (Not a LCD TV). The internet connection didn't reach my room. The room is spacious. The pool has a great view of the beach and ocean. The staffs were very friendly.